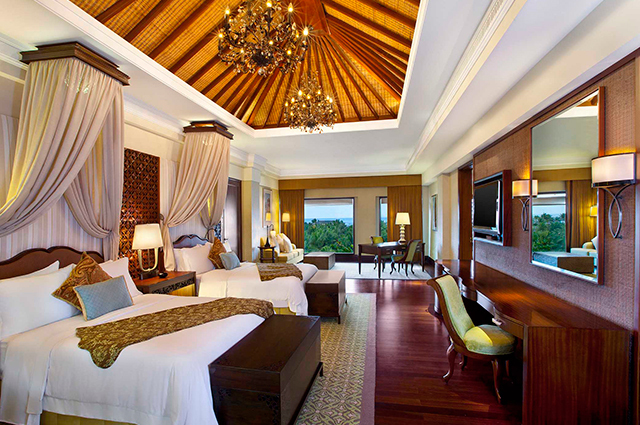 Take a trip to the Far East and experience true island luxury with The St. Regis Bali. The island paradise of Bali is a heady mix of lush tropical forests, regal rice paddies and stunning coastlines. There's also a smorgasbord of gastronomy and an equally exciting collection of international fashion – think uber cool Australian brands Shakuhachi and Deus. Then, there's the five star accommodation. 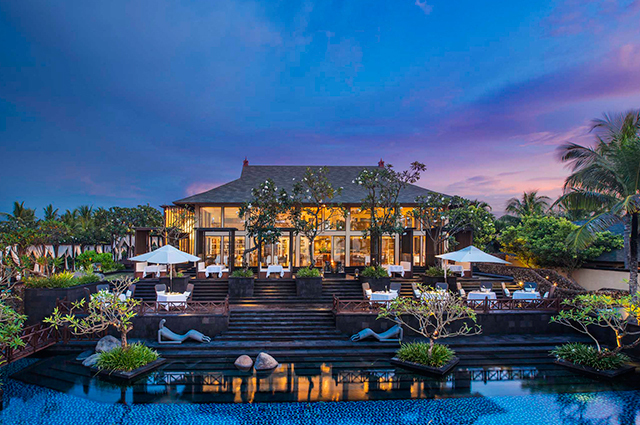 Nestled within one of the finest sandy beaches on the island archipelago of Indonesia is the epitome of luxury beachside living: The St. Regis Bali Resort. 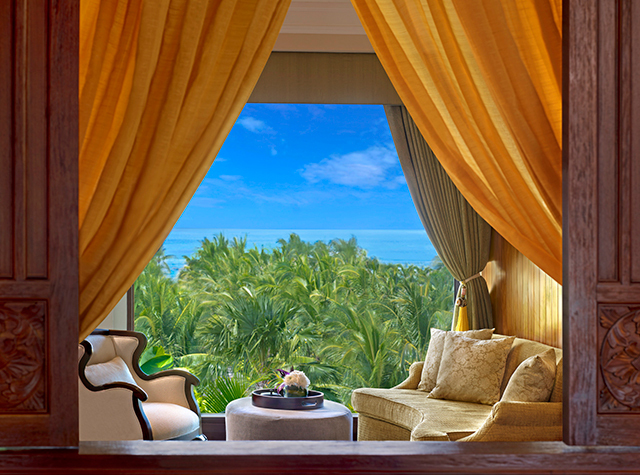 Situated at the secluded Nusa Dua district of the island, The St. Regis Bali Resort was the brand's first in Asia and it's rich heritage has consistently won the location multiple awards since its opening in 2008, including Best Spa Hotel and Asia's Leading Luxury Resort — an award it won on two consecutive occasions. 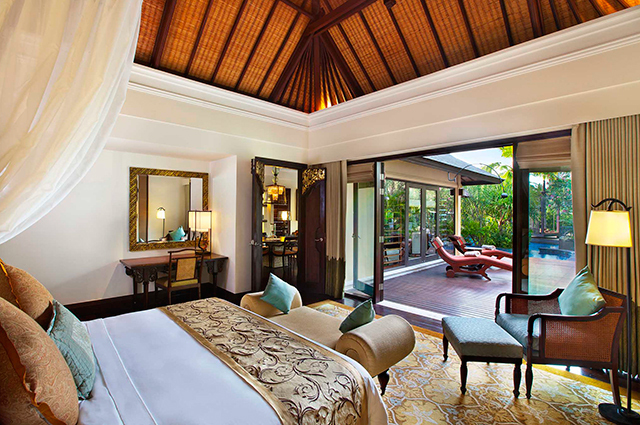 A panoramic view of the Indian Ocean greets visitors who stay in either of the 81 suites or 41 villas, each one designed to exude sophistication as well as elicit that feeling of total relaxation. High ceilings, wooden floors and exquisite furnishings are combined with local elements, which add to the truly authentic Balinese experience. When it comes to luxury, expect king-sized beds covered in fine Egyptian linen and for all of your needs, avail the St. Regis' iconic (and dedicated) 24-hour butler service — they have a separate entrance to ensure privacy. Complementing the luxurious abodes are the hotel's signature restaurants including Kayuputi, voted Indonesia's favourite dining restaurant. Meaning white wood in the local language, Kayuputi's al fresco set-up ensures that diners enjoy a light sea breeze with stunning views onto the ocean, as they indulge in a gastronomic journey of Asian fare mixed with Western influences. The fine culinary smorgasbord includes everything from Wagyu beef to oysters and caviar. Then stepping onto the private beach, there's a myriad of activities, including snorkelling and kite surfing. But it's perhaps the resort's private pool, which attracts most of the attention. Running the length of the resort, it's lagoon-like presence sets the pace in this island paradise. Another avenue of relaxation, comes in the form of the renowned Remede Spa. Set amidst gardens and a calming koi pond, the spa specialises in a comprehensive suite of therapies and holistic treatments that reflects Balinese culture. Spread across 12 private rooms, start in the Aqua Vitale pool, be immersed in the sea salt bath therapy or simply relax in the aromatherapy steam room. "The St. Regis Bali Resort will exceed even the highest of expectations," said Lucia Liu, Hotel Manager of The St. Regis Bali Resort. "In a corner of paradise, we are inspired by culture and nature, and we are guided by the highest standards of perfection in meeting the needs of our most discerning guests and creating timeless memories." 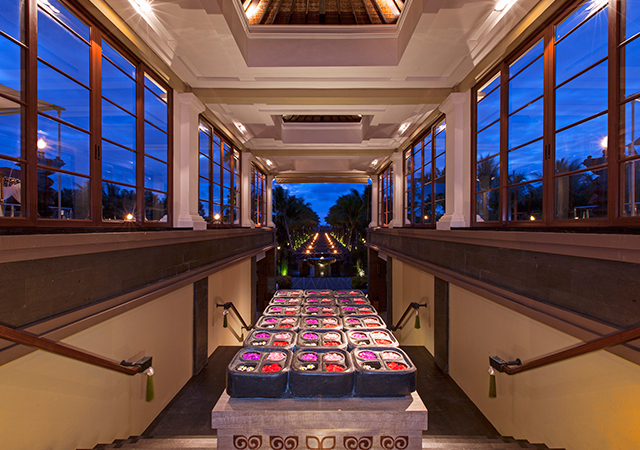 The St. Regis has built a reputation on the best quality, service and custom-made packages to suit even the most specific of needs, making it the most perfect of locations for the summer season. For reservations, call +62 361 8478 111 or visit stregisbali.com.